‘Wallabee’ has been gutted and we are ready to renovate. We have 24′ feet of internal space to play with, which is less than 18 square metres to live in as a family of five. Because we’re planning to live in it full-time for a year or two, the challenge is to make the space as open plan and useable as possible, without compromising on aesthetics. And with three kids under three, it has to be child-proof! HofArc has drawn up a preliminary design – with lots of hidden storage and a kids room in the rear, so we can lock away the toddlers. And the best thing is their philosophy, which sees sustainability as the baseline of good design. In other words, Reuse, Recycle and No VOC or low VOC construction. We’re hoping to recondition some of the original interior and re-install in a more contemporary space that will be as sustainable as we can afford to make it. 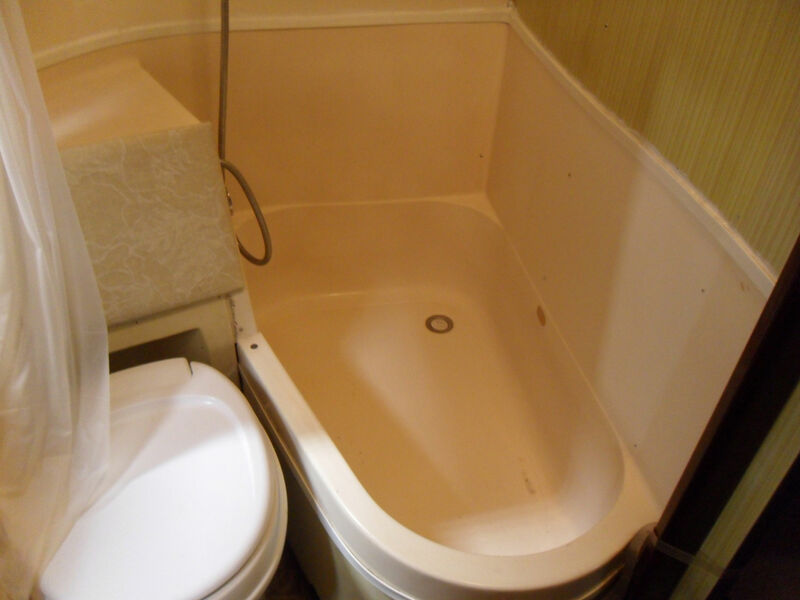 As funky as it is, we won’t be reinstalling the bathtub.